Give your car’s interior all-weather protection without breaking the bank with this line of digitally-mapped floor mats from Hippo Industries. Designed for specific vehicle applications, Hippo Industries Techmats is available for a wide variety of makes and models from passenger cars to pick-up trucks and SUVs. It provides edge-to-edge protection of the foot well area with a raised perimeter lip that contains any sort of mess—water, dirt, mud—things that can potentially soil the carpet. Techmats also have a unique pattern that channels mess away from the feet area and onto reservoirs at the rear edges. They are also scratch proof. Compared to other all-weather floor mats in the market, Techmats from Hippo Industries are more affordable—half the price of its nearest competitor—while still offering excellent interior protection. 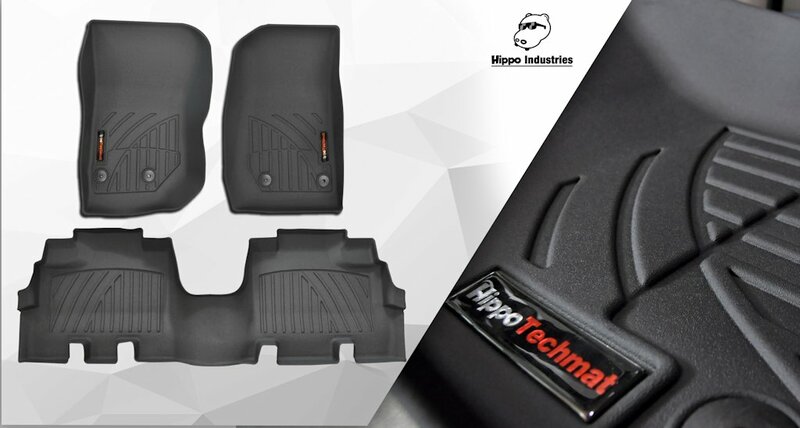 Hippo Industries Techmats is available for vehicles such as the Ford Everest, Honda Mobilio, Mitsubishi Montero Sport, Nissan NP300 Navara, and Toyota Fortuner. Check out the full range of Hippo Industries Techmats as well as other off-road accessories at the GW2 Trading Corporation showroom at 16B Kabignayan Street, Barangay Dona Josefa, Quezon City or call (0917) 710-3846 or (02) 242-0959 or 0929.